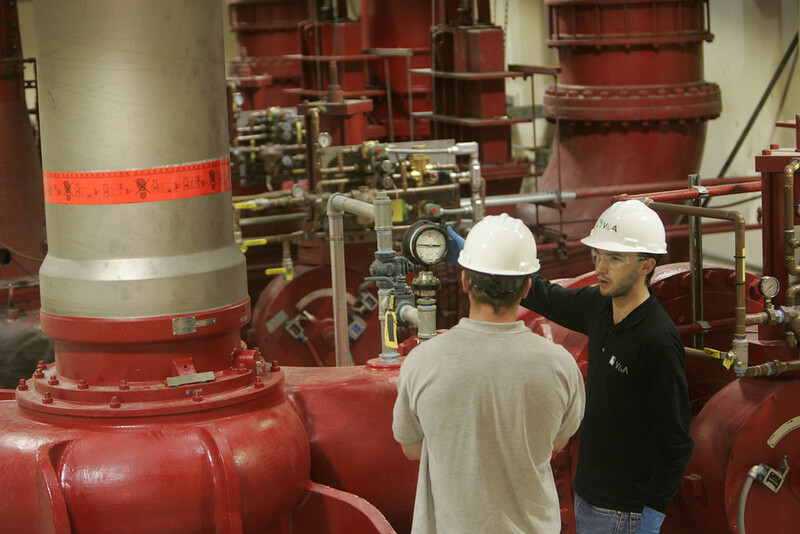 Coating Systems Management — V&A Consulting Engineers, Inc. Coating and lining systems are often the first line of defense against deterioration by water, reclaimed water, wastewater, corrosive soils, and chemical exposures. V&A has tackled the tasks of coatings selection, assessments, specifications, third-party evaluations, and maintenance on behalf of our clients. Our approach to systems management consists of conducting structure assessments (including confined-space entries) meeting ASTM, ICRI, NACE, and SSPC standards; selecting and specifying appropriate coatings options; as well as assisting during construction and third-party evaluation while monitoring the coating process from surface prep to curing. Our team members are certified through the National Association of Corrosion Engineers (NACE) Coatings Inspection Program, Society of Protective Coatings (SSPC) Training Program, and the National Association of Sewer Service Companies (NASSCO) Pipeline and Manhole Program.